I'm guessing Ken Turetzky doesn't get invited to many debutante balls. From his album cover, with the little girl proudly holding up (what he claims is fake) poo, to a set of track names that promise your baser delights, we aren't looking at Dallas's upper crust here. 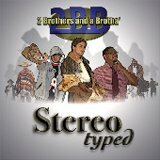 Even a superficially upbeat title like Today Was a Very Good Day, with its faux Cat Stevens vocals and cheery tone, delivers a message that would be out of place during National Brotherhood Week. Turetzky's a disturbed individual, or at least he plays one on radio. Which leads to the only question that matters: can you relate to his kind of disturbed, what I've decided just cries out to be called Turetzky's Syndrome? Much as I hate to admit it, I certainly can. Being a traditionalist, about some things at least, I always cringe when popular songs go transgender. You know what I mean: the song clearly written from a woman's point of view that some guy just has to make his own, with slightly modified lyrics that attempt to make it sound like something better than a hack job. I even remember, or at least think I remember, a male singer attempting to do this gender reassignment on Helen Reddy's classic (a word I use in the most ironic sense) I Am Woman. Even at a most uncritical age, I think I actually shivered. 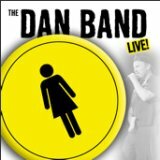 But that's a big part of The Dan Band's shtick, at least on this album. Every track was made famous by a female singer. And every one tells a story that doesn't make a lot of sense when reinvented for the penily endowed. Which is the joke, of course. And one that works kind of well, if it could use a few fewer F-bombs along the way. There's even a little Helen Reddy here, although you don't get to hear that in the 30 second sample. There was a time when I was way too into comedy records. Especially comedy music, which is not at all the same thing as Musical Comedy. For me it probably began with Allen Sherman, who would later become an object lesson in what happens to the Flavor of the Month when we inevitably flip the calendar to a new month. And then it evolved, starting with my brother's tapes of Tom Lehrer and going in all sorts of odd directions. But eventually I grew up. Sorta, anyway. And I left comedy music behind. Mostly, at least. But every time I think I'm out, they pull me back in. Like these guys, who emailed me out of the blue in hopes of getting a little free publicity. So I finally got around to listening, and I got a kick out of what I heard. As you might guess from their name and that of the album, a big chunk of their output plays on music stereotypes. But not all; I wouldn't wish an hour of Rap parodies on anybody. Well, yeah, there are a few Red Staters I'd wish it on. But that's another conversation for another time. One of the joys of trolling the iTMS is coming upon a special memory like Fish Heads. Troll... fish heads... it's a play on words. Try to keep up. According to Wikipedia, which knows all and tells even more, Fish Heads is the single most requested track in the history of The Dr. Demento Show. Wikipedia also has all the scoop on Barnes & Barnes, who are really Robert Haimer and Bill Mumy. Yes, that Bill Mumy, the little kid we all honor every time we imitate a robot swinging its arms and shouting, "Danger, Will Robinson!". If you ever meet him, do the robot thing. I'm sure he can't get enough of that. 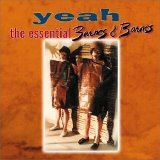 Fish Heads comes from an album called Yeah: The Essential Barnes & Barnes. Sadly, the rest of the album isn't available on the iTMS. But maybe, if we're good little consumers, we can get Apple to fill in the gaps. Remember, say voobaha to Barnes & Barnes. It's only polite. 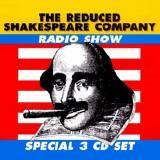 I first encountered the Reduced Shakespeare Company many years ago in Los Angeles. Back then, they were regulars at the Renaissance Faire, doing four versions of Hamlet in under five minutes, the last in reverse. They've gone on to great things since then. (Me, not so much.) 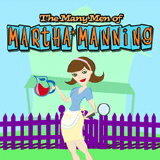 They're a big hit in London, adding shows on American History and the Bible to their repertoire. It's sophomoric stuff. Almost literally; sophomore year is when I can first remember appreciating bad taste jokes about subtle intellectual subjects. Anyway, if you can't see the RSC in action, surely the best way to experience them, then this will have to do. It's a chance to hear Shakespeare's works as they should be heard: with a complete lack of respect. I can still remember my first encounter with Monty Python's Flying Circus. It was my freshman year in college, and some friends and I were on a road trip from Rochester to Toronto. In those days before CDs, entertainment was a hit-or-miss proposition, a mix of our own ability to amuse each other and regular scans of available radio frequencies. But we got lucky shortly after getting near the Canadian border: what I remember as an "all comedy, all the time" station. (Which may have been nothing of the sort, my few hours of contact and thirty year old memories notwithstanding.) And I remember this strange routine about a candy company with the most disgusting confectionary. This was of course the Whizzo Quality Assortment. And from that moment I became a Python addict. The Pythons have long since gone their separate ways, a few returning to help with each other's projects. 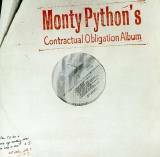 But before their separation, they had the very real problem mentioned in the title of this album: they still owed one more record to Arista before they could walk away. And, true to their ability to defy expectations at every stage of their career, they managed to come up with a collection of shocking and very funny material that's equal to the best of their earlier work. Now if only I could find that sense of humor from the long ago me, so I can appreciate them the way they deserve. I was flipping through the channels one Sunday night. (I almost said "flipping the dial", but let's face it: when was the last time you saw a TV with a dial? Not even at Motel 6.) Nothing much appealed, although I'd stop for a few minutes on Comedy Central before continuing my desperate search for entertainment. Comedy Central were running a show they called their Stand Up Shootout. And the comedians were pretty funny, although not funny enough to keep me from continuing to scan. And then a funny thing happened. On one pass, I saw this guy with a guitar and a fairy tale background. And he was singing. Singing well. But these really twisted songs. Like the one about his girlfriend with the extra equipment. The thirty seconds of Herm Aphrodite on the iTMS will tell you whether Stephen Lynch is your cup of tea. But before you go, take a moment to hear Jim Henson's Dead. 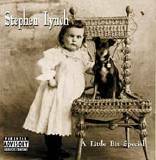 Because for at least this one track, Lynch is using his powers for good. Not that there's anything wrong with using them for evil. I first heard Brave Combo on some program on National Public Radio. I can't say I'm a big polka fan, but there's something about these guys that's infectious. When they demonstrated how People Are Strange by The Doors could be polkafied, they really had my attention. I'm old enough to remember when Tiny Tim made his first appearance on Laugh In. He was, and remained to the end, a joke. But I could never quite figure out if he himself was in on the joke. I hope so. But combine these two unique talents and you get an album that's funny, serious and not half bad. Some of the selections are unfortunate; some are inspired. I'll let you figure out which is which. I was a weird kid. (Yes, it's true. I'm as shocked as you are.) While other kids argued the merits of The Beatles vs. the Dave Clark Five (really! ), I just absorbed it all without much feeling one way or another. And then I discovered novelty recordings. First it was Allen Sherman, the original one trick pony. Then I got to hear my older brother's Tom Lehrer. And I knew that I was not alone, that there were other weird kids in the world. In high school it was a lot easier to find the other weird kids. And college was weird nirvana, at least in Computer Science, at least where I went. Which is where I first discovered Dr. Demento. 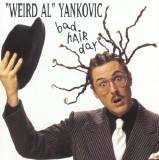 And his most successful disciple, the aptly named "Weird Al" Yankovic. From a slow start, "Weird Al" has become more than just another novelty act, showing occasional flashes of brilliances like The Saga Begins, his take on Star Wars: Episode I that's both tighter and more entertaining than George Lucas's version. Or his parody of Gangsta's Paradise on this album, which translates the song from the hood to an Amish farm. Brilliant? Or sick and twisted? Actually, it's both.